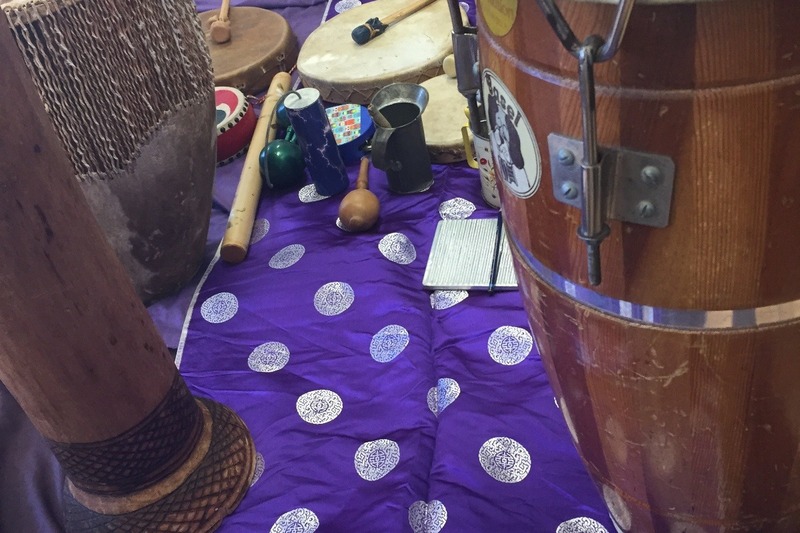 Fundraiser by Creating Space : A home for Creating Space! A home for Creating Space! 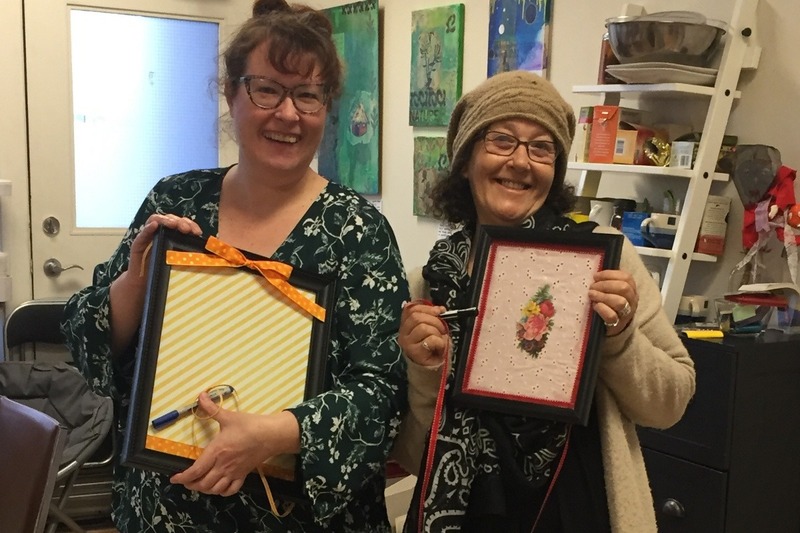 Creating Space is a community arts studio fostering connection and resilience by making art of all sorts, telling stories, and learning together in Nogojiiwanong Peterborough, Ontario. We are volunteer run, and offer volunteer facilitated drop-in open art studio time where anyone is welcome to come and make art for free. We operate by donation, so donations are always welcome, but are not required to participate. We incorporated as a registered provincial non-profit agency in January 2018 and are working towards charitable status. 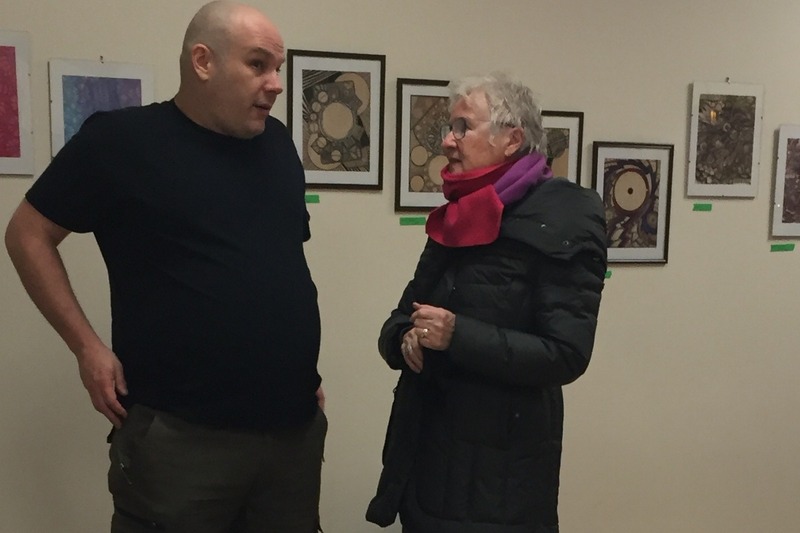 Like-minded community members gathered on December 5, 2016 at an Art Hive Summit, co-sponsored by Peterborough Dialogues, and planted the seeds for Creating Space. 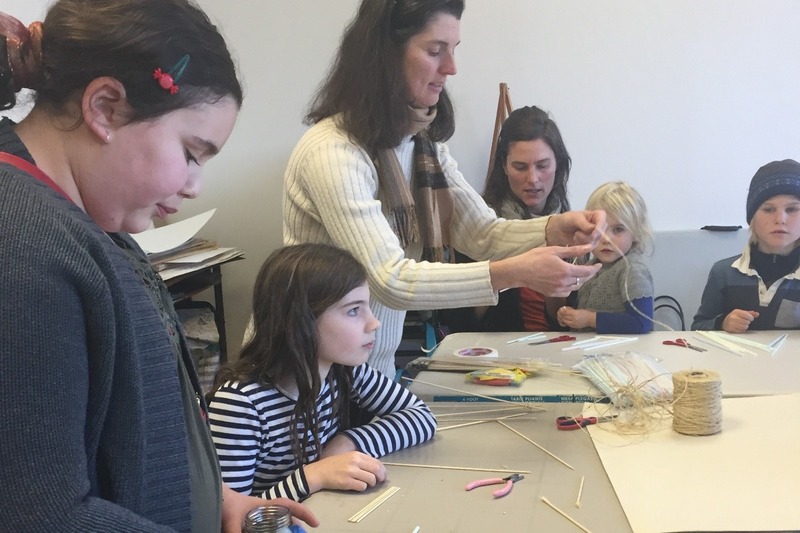 A small core planning group met through the winter of 2017 and began organizing community art studio pop up booths around town in the spring. That spring and summer, we partnered with Seeds of Change to provide weekly drop in sessions in their space. 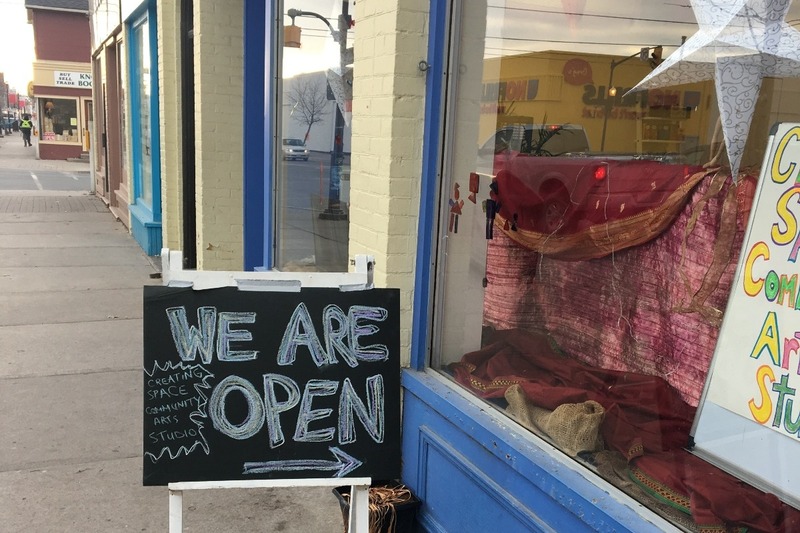 In November 2017, we came across an amazing, accessible, street front space at 247 George St. N. (The Peterborough SUP Shop). It's available from November-April each year when the SUP Shop is seasonally closed (which also helps keep a small business in the downtown through this reciprocally beneficial arrangement). With a quick appeal to our friends, and through their incredible generosity (heart-felt thanks to each of them! ), we raised enough money to cover rent and insurance through the winter. After that, The John Howard Society of Peterborough kindly agreed to host us from May-October 2018. 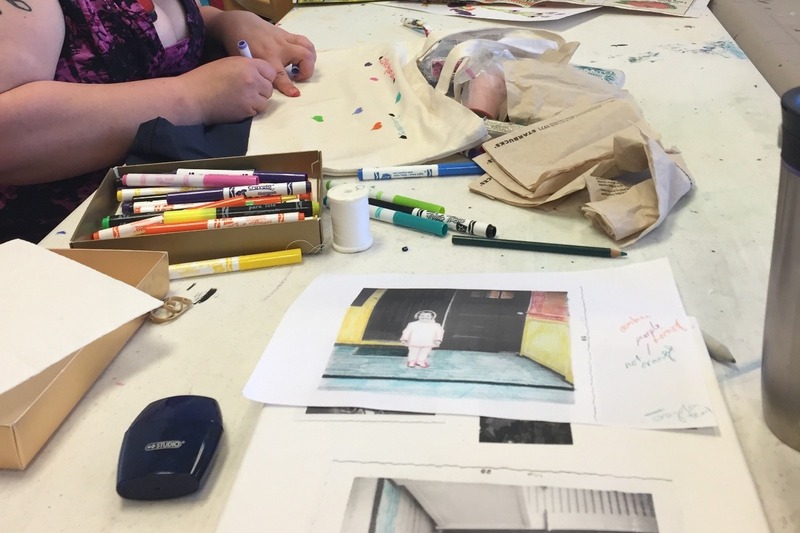 Since we launched in the spring of 2017, over 800 people have sat down at our art tables to experience belonging and express their creativity. What’s been happening in the studio? 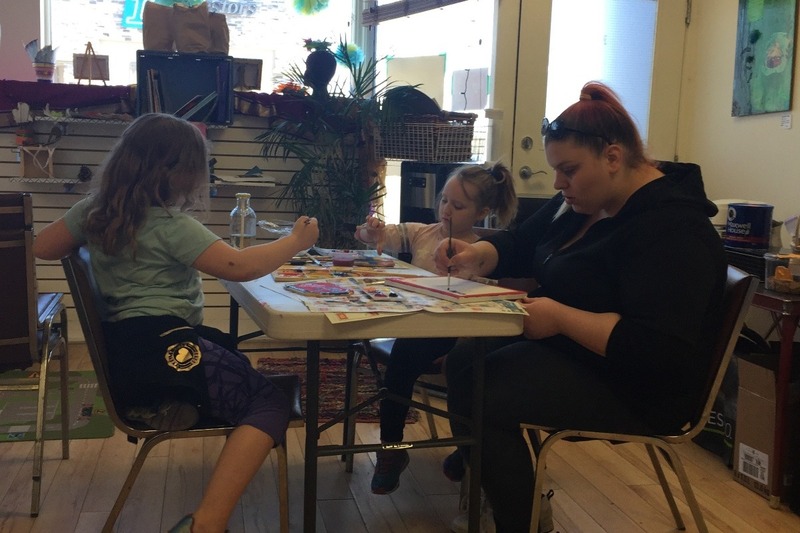 While at the SUP Shop on George St, and at John Howard Society, we’ve been able to offer open studio drop-in sessions three to four times per week, hosted Repair Cafés and partnered with the CMHA Gender Journeys program to provide a drop-in specifically for Gender Independent kids. We’ve also offered several workshops in print making, collaging, lantern making, weaving, sewing, drumming, and more. 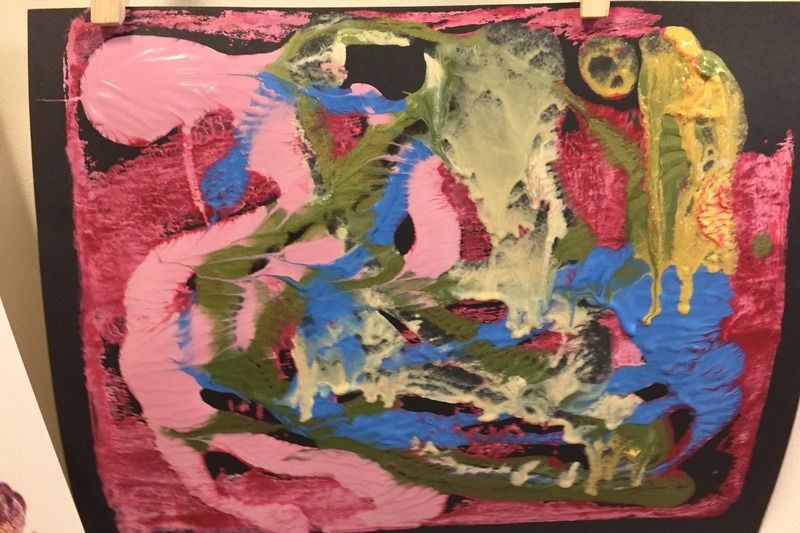 Last winter, we participated in the First Friday Art Crawl each month, featuring emerging artists from the studio. 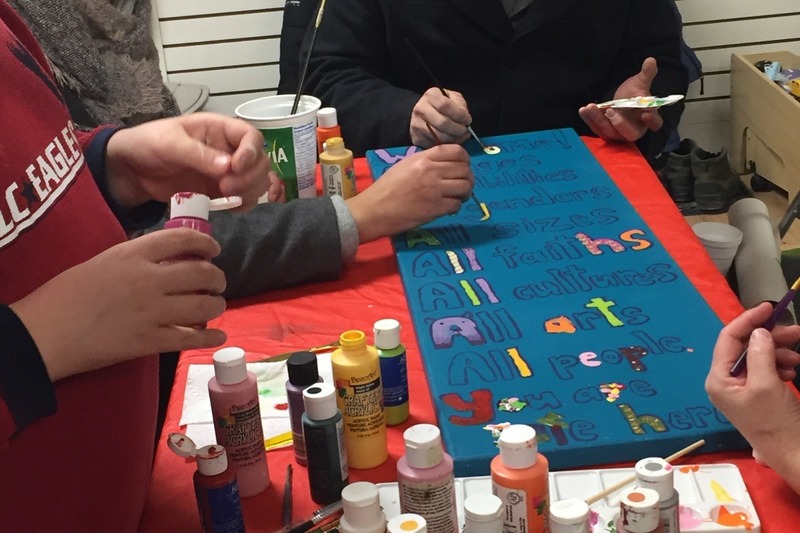 And, all along, we continued to offer pop up art studio booths at community events such as International Women’s Day, 100in1 Day, and Peterborough Pulse. The stability of a roof over our heads has made it possible to store art supplies and provide more reliable, accessible art-making to more community members. Do you also value having a free, accessible, art space in our community? If you do, we’re asking for your help to put a roof over the Creating Space Community Arts Studio again this winter. 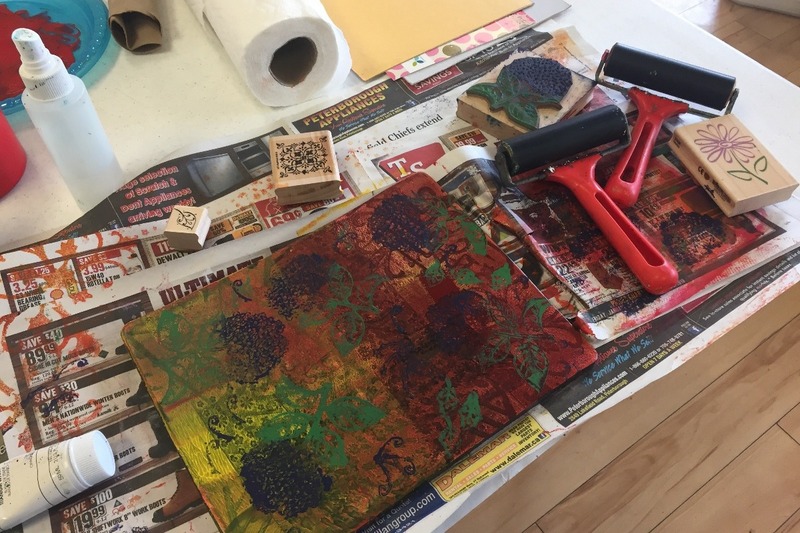 Your donation will go towards rent, utilities and insurance so we can continue offering free drop-in art-making sessions several times each week from November 2018 to end of April 2019. 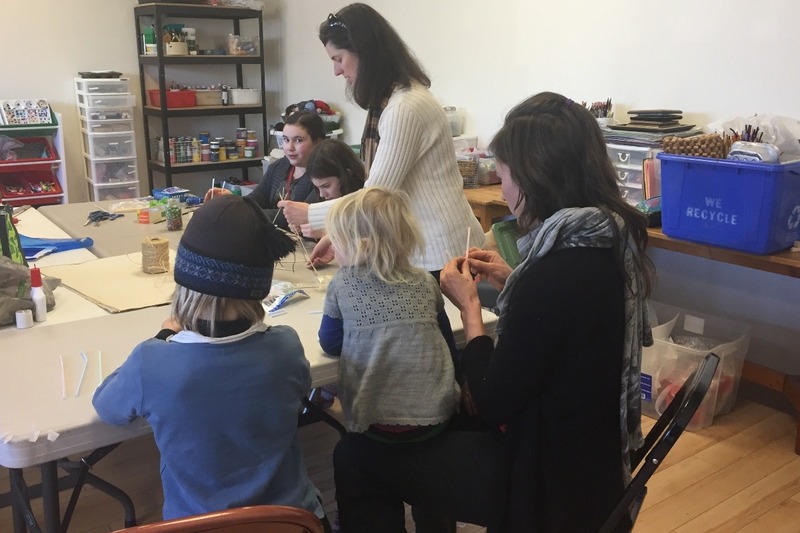 Any surplus will go towards replenishing art supplies and providing honoraria to guest artists offering workshops. We are inviting everyone who believes in the value of Creating Space to contribute what they can comfortably offer (and to please pass the word to like-minded friends). If 400 people each pitch in $20, we’ll be able to provide a warm, welcoming, creative space all winter. Happy New Year Dear Friends of Creating Space! All are welcome. No skill necessary - only curiosity and a willingness to try. While the George St location was our first choice when we set up this gofundme page last summer, unfortunately we did not raise enough to secure it and had to look for an alternate location. We are so grateful to Emmanuel United for making a low cost space available to us until April. According to the gofundme policy, we want to remind folx that they are welcome to request a refund if they are uncomfortable contributing to our use of these funds. The funds we received from you are currently covering the costs of studio space from November 2018 to April 2019, insurance, and some operational costs. We are holding a portion in reserve to cover any requested refunds and to help cover the cost of new space after April 2019. A full account of our financials will be available at our AGM in April (stay tuned for dates), and inquires can be made anytime to creatingspaceptbo@gmail.com. Many thanks to everyone who has donated and supported a winter home for Creating Space in 2019. 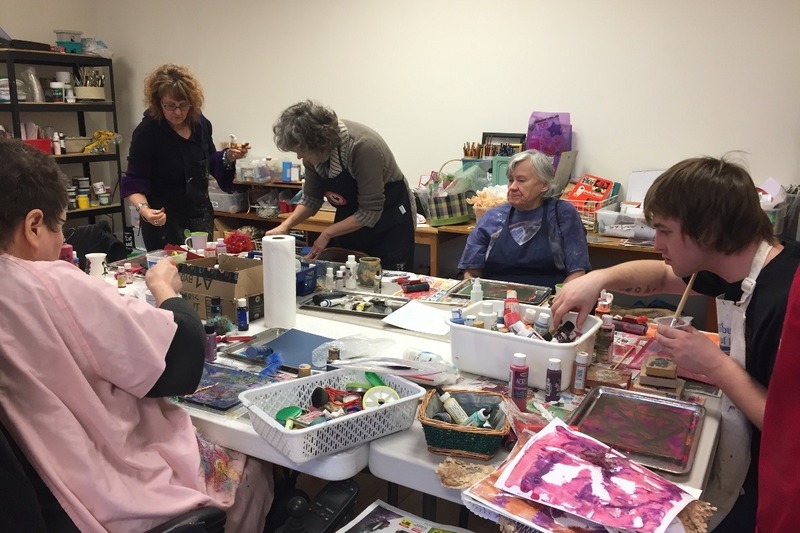 We are so glad to continue offering accessible and inclusive art making in Nogojiwanong/ Peterborough. We hope you’ll drop by soon to check out the new studio and be part of making art together! Thank you all to have donated and supported Creating Space having a place for the winter! Our update is that while the SUP location is our first choice, if it falls through, we’ll be looking at renting an alternate location. Funds are still needed to cover rent for a roof over the art studio either way, and we will notify you of any changes in potential location as soon as details are confirmed.